To measure is to know. MeterCam III makes your old meter smart. At a fraction of the price of a ” smart meter ”. That`s really smart. There are millions of well functioning mechanical watermeters in Europe, Asia and the rest of the world. They are safe, accepted by end users and measure correct. Every day. To scrap all those meters create mountains of waste and ultimately problems to the environment. Not to mention capital destruction. 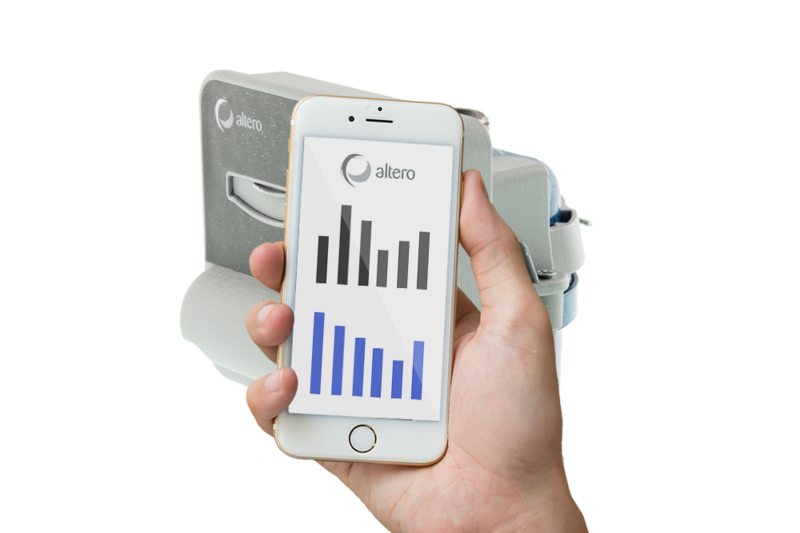 Altero GreenTech AB has for some years worked with Wireless M Bus as radio communication system. MeterCam II is armed with this solution and can still be ordered. MeterCam III, however, use the new system named LoRa. LoRa is built to match the demand from the growing IoT ( Internet of Things ) market. LoRa suites the functioning of MeterCam perfect . LoRa has a very long range and a very good ability of penetration. This at a really competitive price. One LoRa gateway can handle up to 1000 MeterCam III. To learn more about LoRa press HERE. Apply the MeterCam on Water Meter. 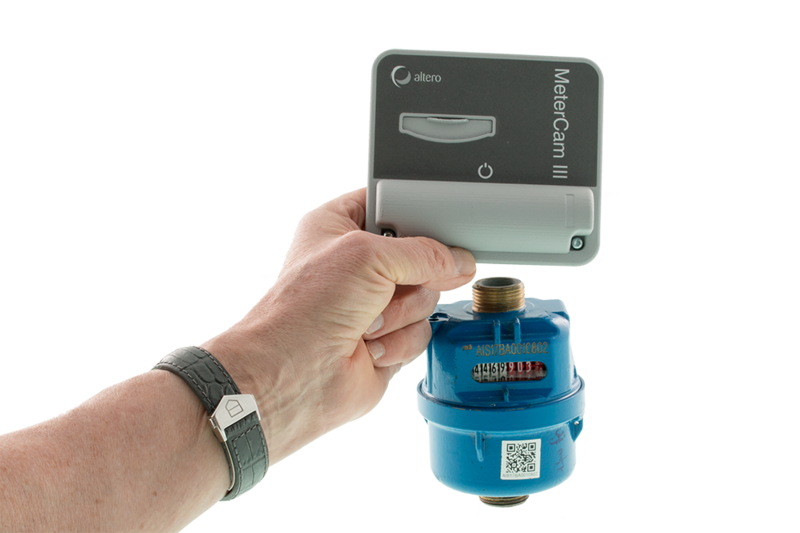 The new MeterCam III will transform your old water meter into a new high tech wireless data measurement system. MeterCam III will digitally read the numbers on the old water meter, and send them encrypted to a Gateway. Normaly the reading takes place once a day. 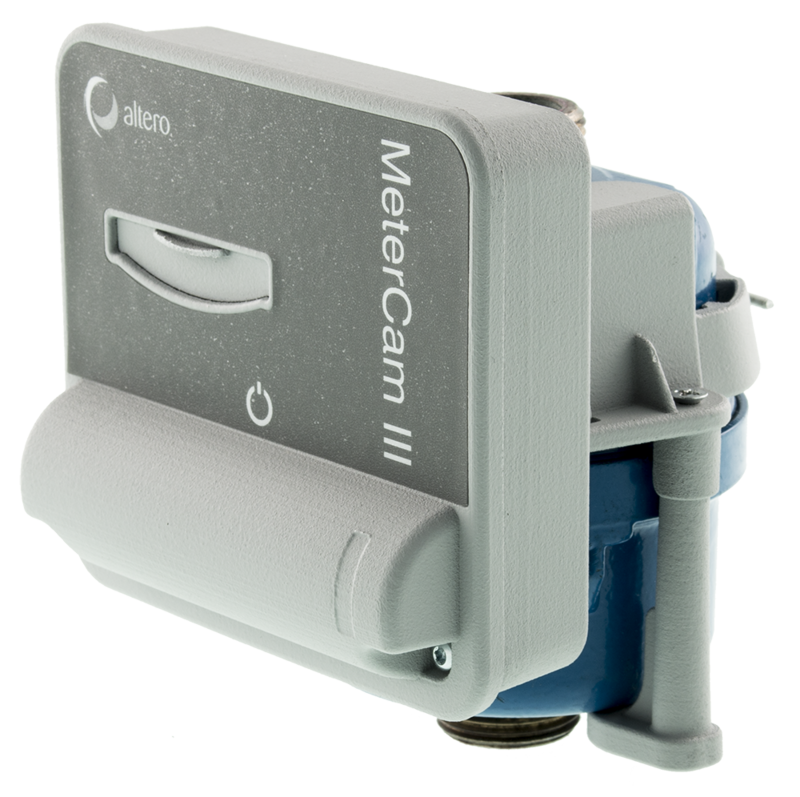 The MeterCam III is battery powered, featuring state of the art ultra low power technology and processing algorithms allowing the battery life in excess of 10 years. 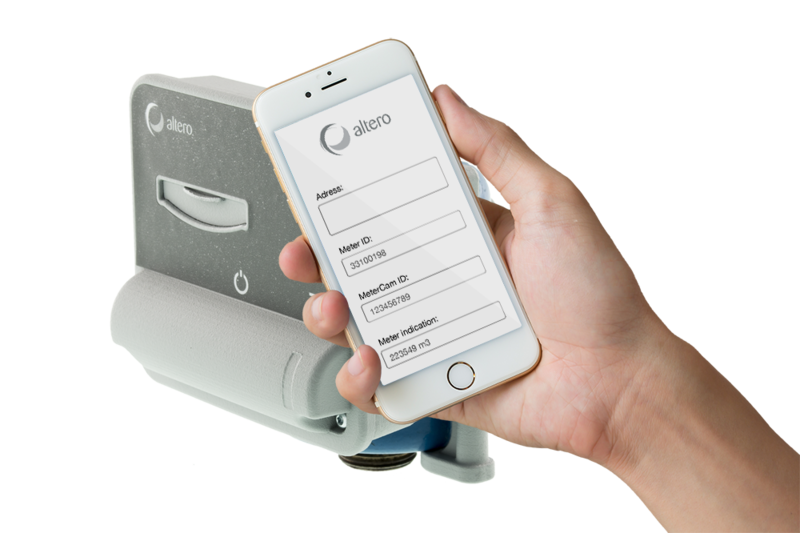 Gateway – The Gateway will wirelessly collect data from MeterCam II/III and send it to a Cloud Server via GPRS, the Altero Data Collector. Range up to 2-5 Km urban and 15 Km suburban, assuming line-of-sight. Actual range will vary based upon operating mode and environmental conditions.